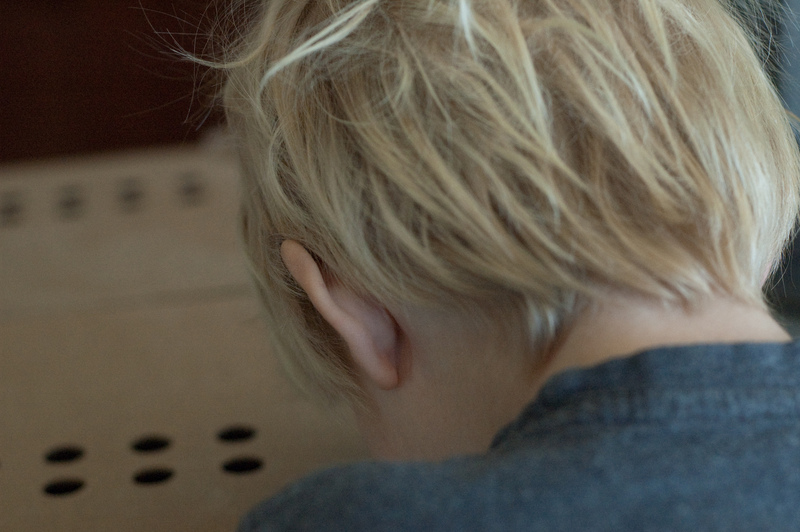 Two weeks ago we took delivery of a very special box. Why so special? Well it made peeping noises for a start! Carefully we drove home, the box held firmly on Huwyl’s lap, rushing our precious cargo to safety. 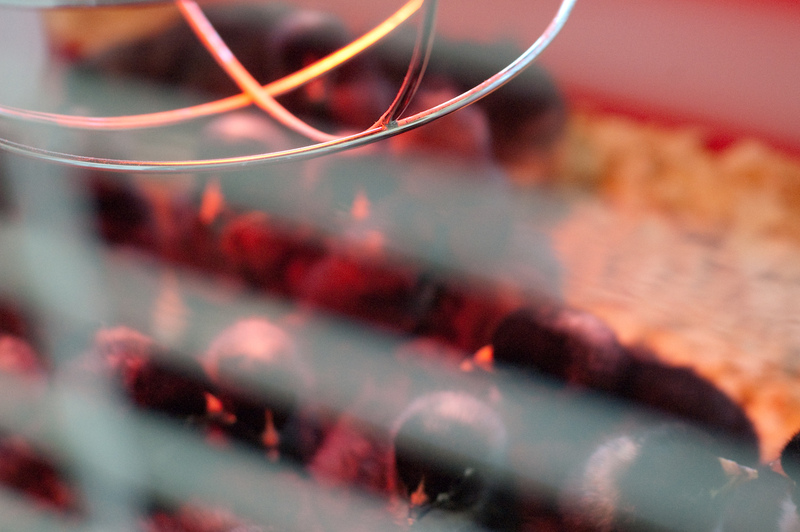 30 Barred Plymouth Rock baby chicks were swiftly installed in their cosy digs, a small animal cage with a heat lamp for extra warmth. 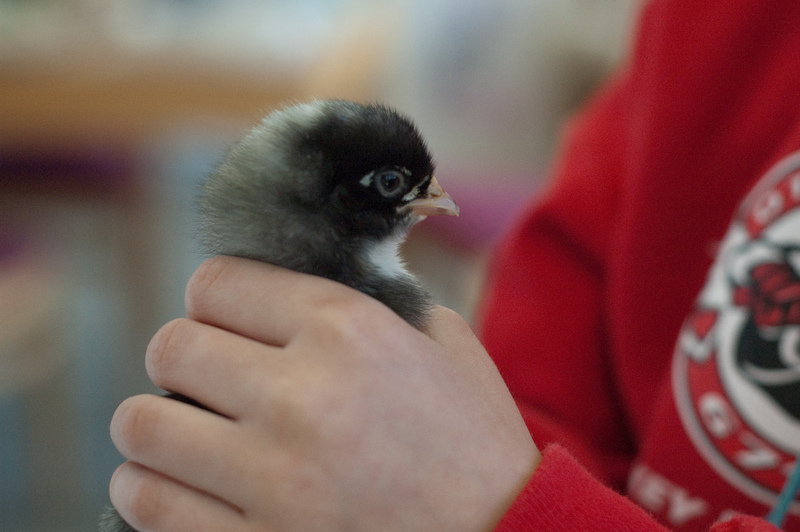 Baby chicks need to be kept very cosy for the first weeks of their lives as they are meant to be snuggled under their mama! These day olds cuddled together under the warmth of a red lamp and quickly settled in. We shared this special occasion with friends who swung by to spend time with us and our growing menagerie of animals! 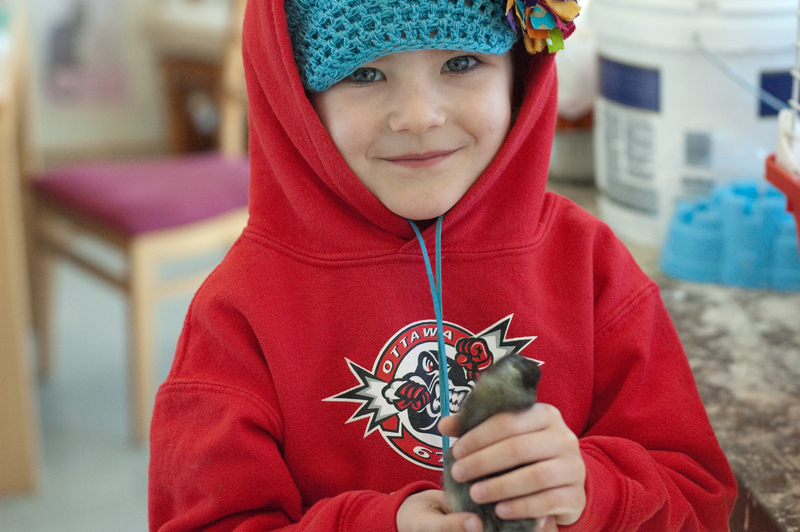 Is there anything sweeter than the happy face of a child holding a baby chick? The children were all fascinated by the tiny balls of fluff and I was proud of how gentle they were. Despite their excitement they understood that the littles couldn’t be away from the heat lamp for long and that we didn’t want to stress them. These little balls of fluff will soon be full grown chickens, laying their eggs in the wood shavings and hay. Looking at them now, so little, it seems impossible that they will be full grown birds in just a few months. I think I’ll enjoy the fluffy stage while I can. Thank you for including us in your farm adventures! We had a wonderful day visiting with our friends and look forward to seeing you all again soon! Oh. My. Goodness. Those little balls of floof are the sweetest things ever! I LOVE LIVING ON A FARM WITH YOU!! You are more than welcome my friend, and any old time you feel like wandering over at mucking out time I’d be happy to….wait…where’d you go? 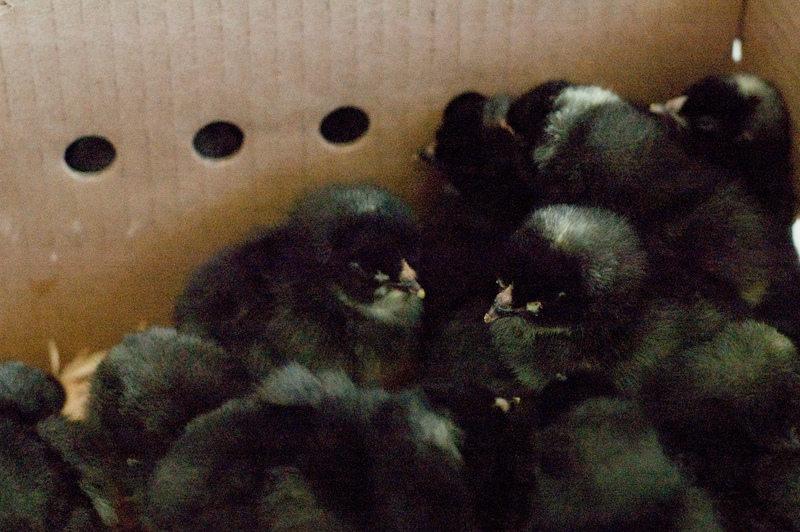 There really is nothing quite like a box of peeping chicks! What breed have you gone for? Barred Plymouth Rocks are my favorites! Just for their wonderful appearance, which says “Chicken” more than any other breed for some reason. Why did you select this strain? There are so many to chose from. Not that I am second guessing your most excellent choice! They will be beautiful when they grow up. Have you considered a few guineas? I am excited for you! I’m loving the drama of the BPR too! They are just so majestic, who wouldn’t love them?! Basically I went for them as they are a dual purpose breed so if we do get any broodys who feel like raising a clutch we can use any boy birds that come along. Mainly though I like that they are very hardy so may well do better during the very cold Canadian winter and will hopefully require less heating up.